The rain splatters on the canopy overhead as I fly through a storm-filled canyon. Somewhere in this lightning cloud is an enemy jet. The pilot is weaving between the hoodoos, using the thick spires of rock as cover from my missile lock. I nudge at the throttle, wanting to close the gap with my target while leaving myself slow enough to manoeuver around any obstacles that come out of the fog. I’m out of the cluster missiles that would make this job easier. I fired the full spread while I was wiping out a swarm of automated drones patrolling above the warren of canyons. All I have are my standard homing missiles and nose-mounted cannon. The missiles travel quickly, which is essential when you’re dogfighting in the open sky, but work against me in this maze of narrow passages. And I need to practically tailgate the enemy to get a clear shot with the cannon. My vision flashes yellow and alarm buzzers fill the cockpit as I’m struck by lightning. My plane’s controls won’t respond. A mechanical voice bleats at me to ‘Pull up! Pull up!’ as the rock wall of the canyon starts to fill my view. The console reboots and my controls kick back in just in time. I’m able to throttle down, pull back on the stick and fly up the side of the canyon and out of the storm. After taking a moment to collect myself, I point the nose back down into the maelstrom in search of my target. The first few missions of Ace Combat 7 have me worried. They are simple, introducing your jets’ different abilities – flares, targeting computer, high-g turns – but they fast become flat and repetitive. Combat is easy: fly into missile range of the target and, whenever they escape my view, follow the on-screen arrow until I find them again, firing two missiles into their backside. There’s little challenge to it. In part that’s down to it being so easy to keep your plane in the air. This is an arcade flight combat game – the controls don’t even take up all the buttons on a gamepad. 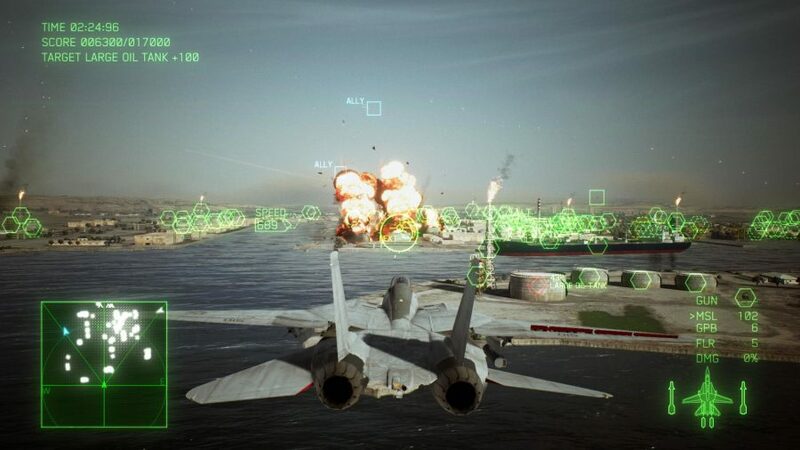 It makes Ace Combat brilliantly accessible, but means you have to find your thrills elsewhere. In a flight simulator you might be playing for a hundred hours before you have a thorough understanding of a single plane. In Ace Combat you form that affinity within the first hour of playing. What makes the game thrilling is that, from the fourth mission onwards, every scenario could feel at home in an action movie. Find and destroy supply trucks that only sporadically appear on your radar because you’re in a sandstorm. Bomb mountain-top radar stations protected by long-range missile turrets that target you as soon as you fly above the low-lying clouds. There’s even one mission where you have to provide ground support for a VIP driving through a city in the middle of a battle, all without a functioning targeting computer. Flying directly over targets is a surefire way to tell friend from foe, but a dangerous one. Each mission, too, takes place in a different, giant map, sculpted from lusciously textured terrain and dusted with cities and roads. The skies are dotted with puffy clouds that wet your vision when flown through. And, if you fly high enough, ice will form on the surface of your plane, forcing you into a stall that sends you falling back to earth. It’s a treat to look at, but also to listen to. As you complete your missions your ears are filled with the radio chatter of your (largely useless) wingmates and even occasionally your enemies’ broadcasts. When planes fly past you there’s a roar and, in the case of drones, the whining scream of an F1 engine. 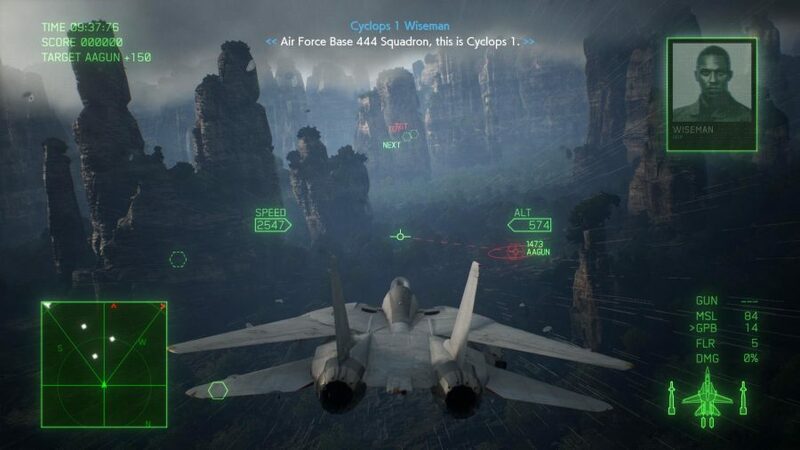 Ace Combat: Assault Horizon’s skill system is out, replaced by the ‘Aircraft Tree’. Points you earn in missions can be used to buy parts with which to upgrade your plane, increasing its top speed, for instance, or the power of your missiles. It’s also where you purchase new planes and special weapons. The ingenuity of the missions hooked me and I raced through the campaign, always keen to see what the next level would throw at me. It even got me through some of Ace Combat’s rougher edges, such as the game’s awful checkpointing. One format of mission you return to a few times in the campaign is Annihilation. You arrive in a large arena dotted with enemy bases, SAM sites, ground vehicles, and air support. Every enemy asset has a point value attached to it, and your mission is to destroy more than a certain value’s worth to continue. You have to do all this in a 15 minute time limit with success often coming down to the wire. If you die at any point you have to start the whole the mission again from the beginning. Some of these I repeat ten times or more, adding up to hours of frustration. The problem with poor checkpointing is it quashes risk-taking. I didn’t want to try threading my jet through the scaffolding of an oilrig to blast its structural supports at close-range because if I clipped my wing and exploded I’d undo ten minutes of play. But I did keep restarting. There are too few arcade-skewed flight games nowadays. The likes of Microsoft Combat Flight Simulator, Crimson Skies, and, hell, even Tom Clancy’s H.A.W.X are long gone. 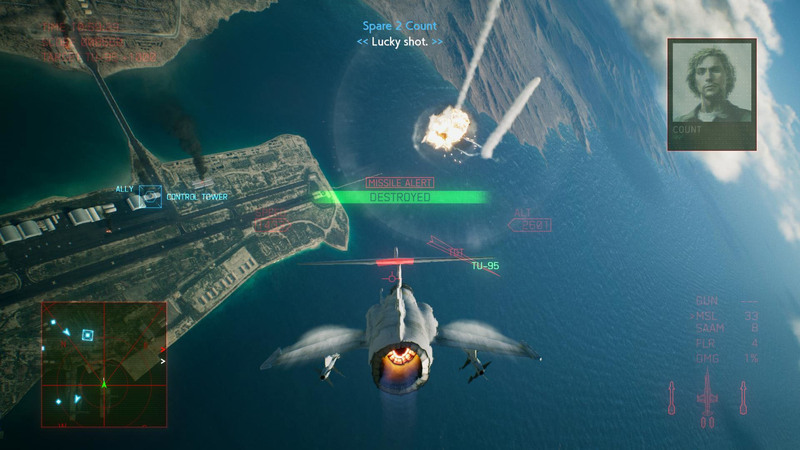 Most modern flight games are for the simulation audience, and you have to look to space games for the more arcadey dogfights. If you’re like me, and can’t work your way through a 300-page flight manual, then you’re stuck with zero-g dogfights. As fun as they can be, there is something about following an enemy plane into a steep dive, desperately fighting against gravity to line up your sights with their fuselage, and then firing off your missiles seconds before pulling out of the dive. There’s a glee in wheeling away to safety, your target a burning wreckage behind you. Despite this, now that I’ve completed the campaign I don’t think I’ll be staying. 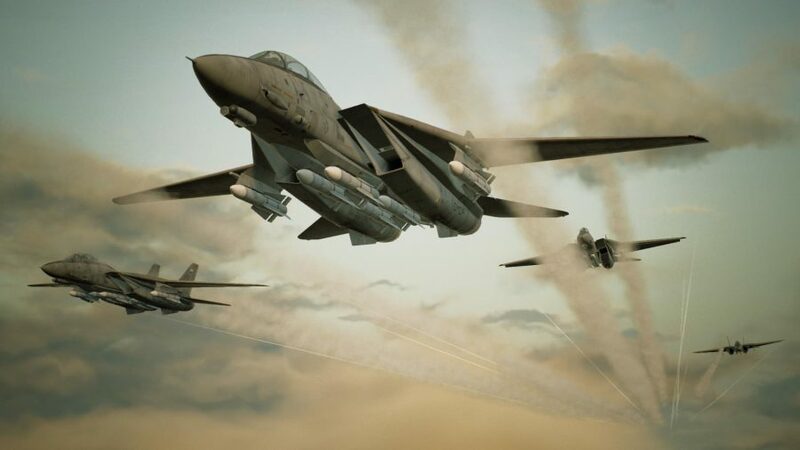 Beyond its graphical fidelity, Ace Combat 7 isn’t a leap forward for flight combat games, nor does it feel like the beginning of a renaissance for the genre. I’m walking away from the game, despite there being more planes to unlock, upgrades to buy, and a multiplayer mode to sink into. It was, at times, wonderful to be back in the cockpit and to feel that glee again, but on this occasion it’s not quite enough to keep me locked on.